Over the last decade, cholesterol treatment and atherosclerosis has evolved significantly. Atherosclerosis is a general term for hardening and thickening of the arteries. 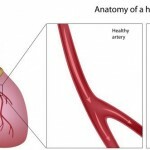 In its most common form, atherosclerosis is a slow progressive disease that usually starts in early adulthood and becomes dangerous later in life. Atherosclerosis is a complex process that usually starts with damage of the inner layer of the artery called endothelium. It happens as a result of smoking, high blood pressure and elevated levels of cholesterol and triglycerides in the blood. Because of the damage, fat or lipids, platelets and calcium accumulate in the wall of the artery and contribute to plaque buildup and narrowing of the artery. Among clinical presentation of atherosclerosis, coronary artery disease is the most prevalent and is associated with high morbidity and mortality when presenting as acute coronary syndrome, including unstable angina and acute myocardial infarction. Scientific observations have demonstrated that plaque rupture or erosion with different degrees of superimposed thrombus or clot resulting in a decreased blood flow to the heart muscle represent the basic mechanism for acute coronary syndrome. The upper panel labeled A and B demonstrated the presence to thrombus in the proximal left anterior descending coronary artery (LAD)on the angiogram and on the intravascular ultrasound, IVUS (upper C) white arrow while the black arrow indicate the possible site of plaque rupture. Repeat angiogram after treatment with an antiplatelet therapy (eptifibatide) demonstrated dissolution of the LAD lesion (lower panel A) and Optical coherence tomography (OCT) revealed thrombus resolution and the site of prior rupture of thin cap fibroatheroma (white arrow in lower pictures B and C). Cholesterol is a clearly established culprit in atherosclerosis and is a principal component of the vulnerable atherosclerotic plaque comprising almost 50% of the plaque mass. The immediate treatment goals are to improve blood flow and preserve heart function. This can be accomplished most efficiently by angioplasty and stenting which reopens the artery by compressing the atherosclerotic plaque against the wall of the artery. In addition, anticoagulants (heparin or Lovenox), antiplatelets (aspirin, Plavix, effient or ticagrelor, eptifibatide, abciximab) are used to prevent thrombus to propagate. Medical therapy that includes beta-blockers, Ace inhibitors, or angiotensin receptor blockers help control heart rate and blood pressure and decrease demand on the heart. In doing so, they are preserving or improving heart function. Statin therapy lowers the amount of LDL cholesterol circulating in the blood and stabilizes plaque deposits. This makes the plaque less likely to rupture and can even lead to regression in some cases. The current treatment of acute coronary syndrome has produced significant improvement in survival, but the residual risk of recurrent myocardial infarction and mortality still remains high. Some of these cardiac events happen even weeks after hospital discharge for acute coronary syndrome. Vulnerable plaques are usually small in size and cause less than 50% occlusion of the arteries. They are generally containing lipids and have a thin fibrous cap which makes them prone to rupture. This explains why a lipid-lowering therapy using statins causes only mild regression of atherosclerosis as measured by angiography or by intravascular ultrasound, and yet bring a very significant reduction in cardiovascular events. IVUS in the upper image showing evidence of moderate plaque atheroscleroris (area contained between the blue and the green tracings) despite the angiogram showing mild coronary lesions in the midsection of the right coronary artery. In a clinical study of simvastatin and niacin, the investigators observed only a 0.4% plaque regression but saw a significant lower incidence of cardiac events compared to placebo (14% versus 24%). Aggressive lowering of LDL cholesterol is not only related to reduction in plaque volume but also plaque stabilization leading to reduction in myocardial infarction and death. The LDL hypothesis stipulates that elevated levels of bad cholesterol LDL is the cause of atherosclerotic heart disease. Therefore ”the lower the better”. There is considerable evidence to support this hypothesis. An analysis of more than 90,000 patients enrolled in 14 different statin trials determined that on average, lowering LDL cholesterol by 1 mmol/L reduce major coronary events by 23%. But this is not only a statin effect. A recent study showed that adding a non-statin (ezetimibe or zetia) to simvastatin, resulted in an additional 2% reduction of major cardiac events including cardiovascular death (32% versus 34%). “Lower is better” was also confirmed by a recent study of a new class of lipid lowering agents just approved by the FDA for the treatment of familial hypercholesteremia or patients with high cholesterol and coronary disease and non responsive to standard therapy. They belong to the class of PCSK 9 inhibitors , evolocumab (repatha) or alirocumab (praluent). These agents reduce the LDL receptor degradation thereby enhancing LDL clearance from the blood vessel. 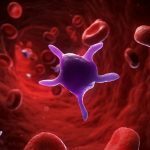 A study published in March 2017, looked at the efficacy of evolocumab (repatha) in over 27,000 high risk patients. Baseline LDL level on optimized lipid-lowering treatment was 92 mg/dL. Adding evolocumab produced a mean decrease in LDL of 59% and a relatively small increase in HDL (8%) and apoA-1 (7%). After 1 year, there was a 15% risk reduction a major cardiac events (9.8% for the evolocumab group vs 11.3%). HDL first described in the 60’s, has been inversely related to coronary artery disease. The observational data obtained from the Framingham Heart Study lead to the concept that HDL, the good cholesterol, may protect against coronary artery disease. Even in the current state of statin treated patients, HDL concentration is still strongly predictive of subsequent cardiovascular events. The usefulness of HDL as an independent risk predictor is demonstrated by its continued use in calculation of cardiovascular risk by the American Heart Association and the European guidelines. However several randomized clinical trials of HDL-raising drugs have failed to show a significant reduction in cardiovascular events. Two recent trials of niacin combined with statin therapy failed to show any reduction in cardiovascular events despite raising the HDL by 15 and 25% respectively. Other trials using a new class of drugs (CETP inhibitors) never made to the market because of their negative effects. Despite raising the HDL cholesterol by as much as 72%, the studies found an increased coronary heart disease events including mortality. This may have been due to off target effects such as a rise in blood pressure. The studies may have enrolled population with minimal benefits such as low baseline LDL, HDL concentration of greater than 30 mg/dL, or drugs not administered in proximity to the acute event when event rate is highest and HDL function is lowest. Most importantly, a high level of HDL cholesterol does not always confer protection against coronary artery disease. Below is an example of a patient with positive family history of heart disease and with an HDL measured at 85mg/dL and an LDL of 132mg/dL. The coronary angiogram shows a 90% blockage of the proximal LAD or widow maker artery. The principal function of HDL is to transport cholesterol from the peripheral atherosclerotic plaque to the liver for disposal. This is called reverse cholesterol transport. 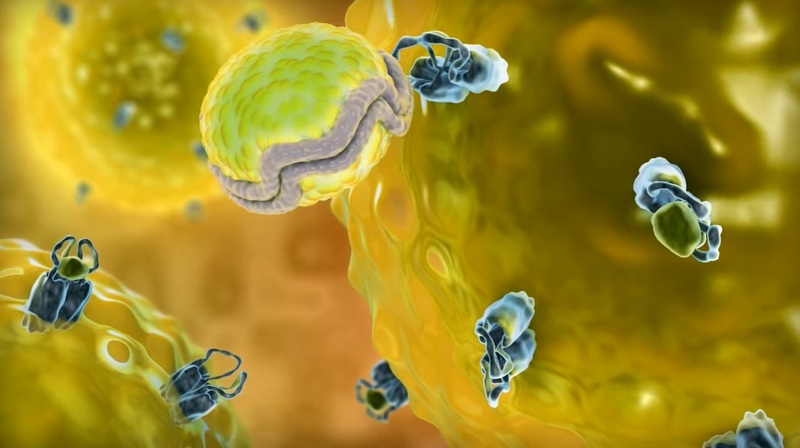 The ability of HDL to support the removal or efflux of cholesterol from macrophages contained into the atherosclerotic plaque has been measured. 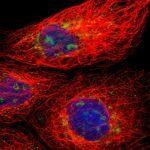 These cholesterol efflux assays have been shown to strongly predict the risk of coronary heart disease. The dominant protein component of HDL is apoA-1. It has been shown in animals to reduce the size of atherosclerotic plaque. Additional studies have employed infusion of purified apoA-1 and demonstrated reduction in size of the atherosclerotic plaque. 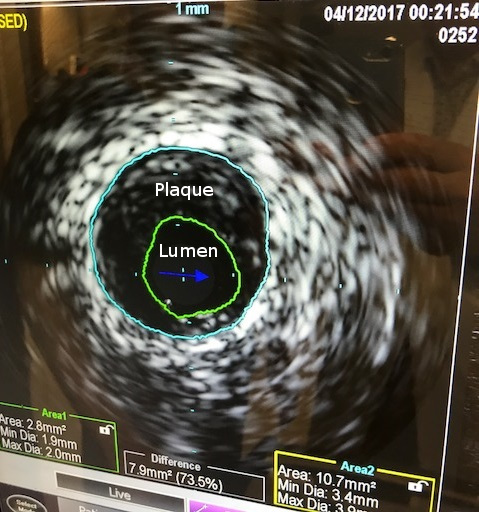 A preparation of the Milano variant of apoA-1 reduced plaque volume as demonstrated by intravascular ultrasound. ApoA-1 purified from human plasma has shown similar results. 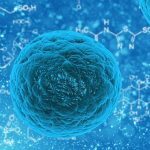 In addition, HDL and apoA-1 have been reported to have other properties that could be protective; these include anti-inflammatory, anti-oxidant effects, nitric oxide promoting effects and effects that could prevent cell death. We participated in the clinical study of CSL-112. Dr Michael Wilensky was the principal investigator at our site. It is such a new drug that it does not have a name yet. Our research nurses called it the “plaque drano”. The phase 2, multi-center, randomized, placebo-controlled study was performed to investigate the safety and tolerability of administration of CSL-112 in subjects with acute myocardial infarction at multiple dose and recently in patients with moderate renal impairment. The hypothesis is that by removing cholesterol from the atherosclerotic plaque, infusion of CSL-112 may produce plaque stabilization and reduce the risk of cardiac events in patient with acute coronary syndrome. CSL-112 is a sterile solution of HDL particles that resemble the form of HDL newly secreted by the human liver. During the manufacturing process, CSL-112 apoA-1 is purified from human plasma. It can be stored for many months at low temperature and dissolved before IV infusion. The infusion of CSL-112 rapidly and markedly increases serum apoA-1 levels. It causes a rapid and dramatic increase in the capacity of serum to remove bad cholesterol. It has been shown to significantly reduce the cholesterol content from the atherosclerotic plaque. The patients received four, 2 hour infusions of CSL-112, a minimum of 7 days apart, during the four-week active treatment. A phase 3, randomized, double-blind, placebo controlled, parallel study of the efficacy and safety of CSL-112 in the setting of acute coronary syndrome is planned for later this year. Please read following link which does cause a serious doubts among many pensioners, what will be your remarks ? Thank you Dr. Ahmed for your interest. the data presented in the “new Frontier in cholesterol treatment and atherosclerosis” is related to secondary prevention where patients have documented coronary artery disease. The benefit of statin therapy is well established. However, for primary prevention, and particularly in the elderly patient, the evidence is not as clear. The data referred to in the Daily mail was published in JAMA and included patients older than 65 with hypertension. In that study, there was no advantage of taking pravastatin 40 milligram. In our practice, since there are no clear guidelines, we have followed the recommendations of the American College of Cardiology and treat older patients that are at a higher risk of a coronary events such as patient with diabetes, hypertension, LDL greater than 190 (10 year risk of ASCVD risk of greater than 7.5%). And treated hbp since 45 am now 70. Indications for outpatient heart cath include symptoms uncontrolled by medicines, unstable symptoms, heart dysfunction, or high risk features on non-invasive testing. I am 61 white female. I have total chol of 240, LDL 137, HDL 74, Trig 70. I had CTCA and had score of 2.2 with 10% stenosis of LAD. I have good BP, have BMI of 32, moderate amount exercise and I eat healthy diet. Cardiologist asked me to take Crestor 5mg daily or 2nd daily. Should I or can i just try to tweak my lifestyle? Not keen on taking meds forever with side effects, which they all have. Thank you for your interest in Myheart.net. If we presume the blood pressure is 120/70, the 10 yr cardiovascular risk calculated at 3% for patients of 40-59 years of age. Usually when the risk is <5%, there is less benefit from the statin unless the family history is strong for cardiovascular disease. You can download the app; ASCVD plus. Lifestyle modification would be very important at this stage but primary prevention with statin may reduce your risk if the LDL remains high. Also can you please tell me my 10 year risk.